HomeBlog June 2015 Kids Backyard Fun: Ikea Tent Hack! Kids Backyard Fun: Ikea Tent Hack! You know Cathie & Steve as our very own Mod Podge rockstars, and we’re excited to bring to you our new Make It With Mod Podge series on our YouTube channel, hosted by Cathie & Steve! 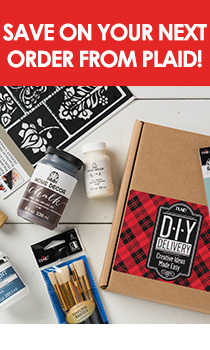 They’ll help you maximize your podgeabilities as they share with you easy DIY ideas with our family of Mod Podge formulas and products. Tune in the first three Fridays of each month to watch the latest episodes! The first one is packed with everything you need for a night of kid backyard fun! Where it all begins? In this tent - that looks fit for a princess, but it’s made on a pauper’s budget! Cathie & Steve help us makeover an Ikea Cirkustalt tent into a DIY luxe boho retreat for your little. Cathie & Steve use the Mod Melter to attach fun trims! And to make it cozy, you’ll also see how easy it is to make easy, custom appliqués with Mod Podge Fabric onto coordinating DIY Hippie Pillows. Next, add some kid-friendly ambiance with embellished flameless candles as the finishing touch. Cathie & Steve also share with us how to make super easy Yogurt Freezer Pops that are tasty (and healthy!) for the whole family. Once the backyard bash is complete, move the fort indoors, and the kiddos will love snuggling up with you in the coolest reading nook around. Don't miss the next episode of Make it with Mod Podge - subscribe to our YouTube Channel now!